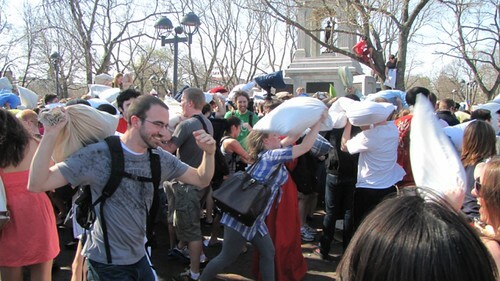 This past Saturday was World Pillow Fight Day. 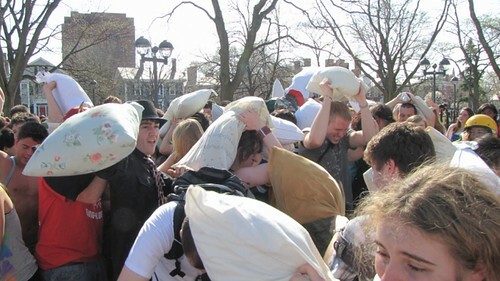 Around the world, thousands of participants took an hour out of their day to whack complete strangers with pillows. I attended my local gathering, at Cambridge Common in the outskirts of Boston, Mass. This is the 3rd annual event, hosted here by Banditos Misteriosos. 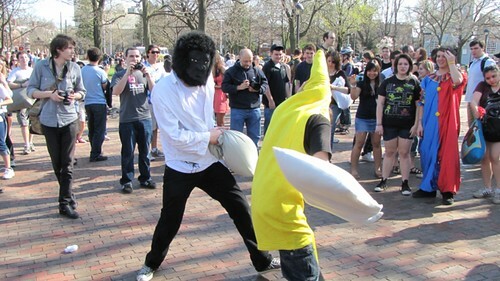 It was estimated that we had 1,500 pillow fighters! There isn't much more to say than that. Check out some pictures and videos I took while using my own pillow to shield the camera!